The interlock control system with central controller RJ has especially been designed for installations with up to 5 doors. It can be extended to 8 doors. 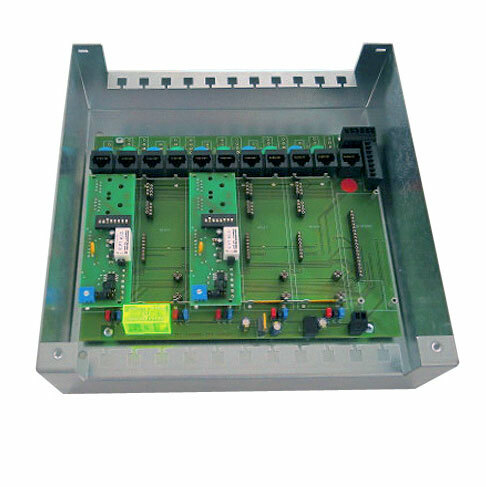 The control circuit boards which in case of the peripheral system are placed in the control terminals, are located in the central system in a central casing. The central interlock control system is the ideal solution for small systems where all doors are located close to each other. 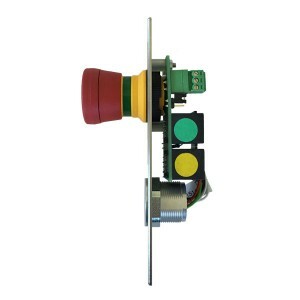 It consists of a few main components which can be mounted and “programmed” with extremely little effort. Beside the basic functions many additional requirements can be met by the central controller RJ of the DICTATOR interlock control system. Green: control cable from the central controller RJ. Yellow: connection cable to second operating terminal (BT3) on the rear side of the door. The second operating terminal is identic to the one of the peripheral system. The locking device is also connected directly to the central controller RJ. The blue marked cable is plugged in the central controller RJ in the designated RJ45 socket. The other end of the cable has 4 leads of different colours to connect the locking device. The power is provided by the power pack ready for plug-in. Its safety plug simply has to be plugged in a socket provided on site. In the central controller RJ is also provided a socket for the power cable of the power pack. All control cables, also the cable to the locking device, are simple flat cables with RJ45 connectors. An additional power cable to the operating terminals as in the peripheral system is not required. 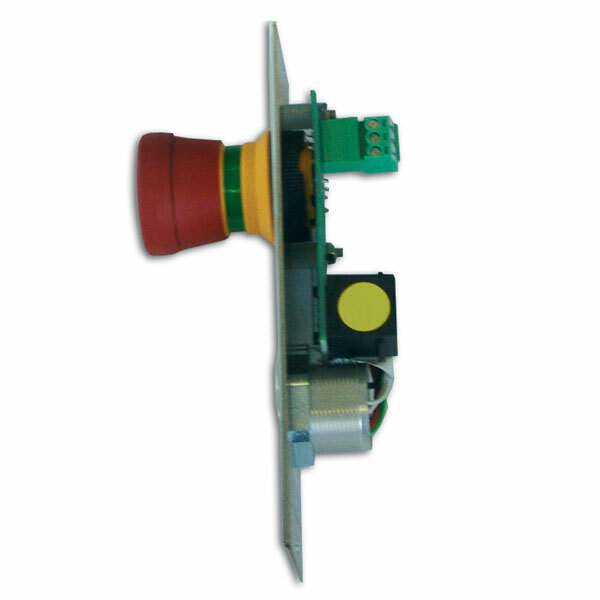 In the central interlock control system the central controller RJ is the core of the interlock system. Every system needs one central controller RJ. It normally allows to control up to 5 doors. operating key or with RFID system for transponder chip. The operating terminal BT3 completes the operating terminal BTZ on the rear side of the door. The only difference is that the terminal BT3 has only one (yellow) socket. For details please see the peripheral interlock control system. 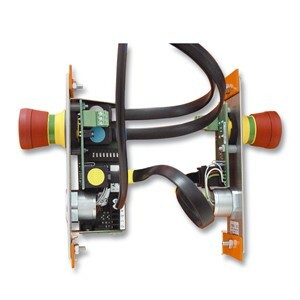 All doors are easily connected to the central controller RJ by flat cables with RJ45 connectors. The cables and their corresponding sockets are clearly marked by different colours (green, yellow, blue).